It’s been awhile since I’ve shared what has been going on in our open makerspace time, but there has definitely been a lot. Through our collaboration with Gretchen Thomas at UGA, we have been able to offer an open time on Tuesdays and Thursdays for students to come and explore various parts of our makerspace. Students sign up for a 30-minute segment to come and explore a pre-chosen topic. Last year, we tried just letting students decide what they wanted to do, but we found that most of them were either unsure of what to try or all wanted to try something different and didn’t know how to start. It was hard to manage and it was hard to accomplish anything in 30 minutes. This year, we decided that for the first half of the year we would offer 2-3 opportunities at each makerspace session. One of the experiences is technology-focused and the other is more craft-focused. Sometimes these experiences compliment one another. For example, students might get to make a figure out of pipe cleaners, clay, or Playdoh as the craft and then use that figure to create a stop motion video with the iPad. At each session, 3-4 UGA students come to support students. They often lead the work while I assist other students in the library or teach classes. 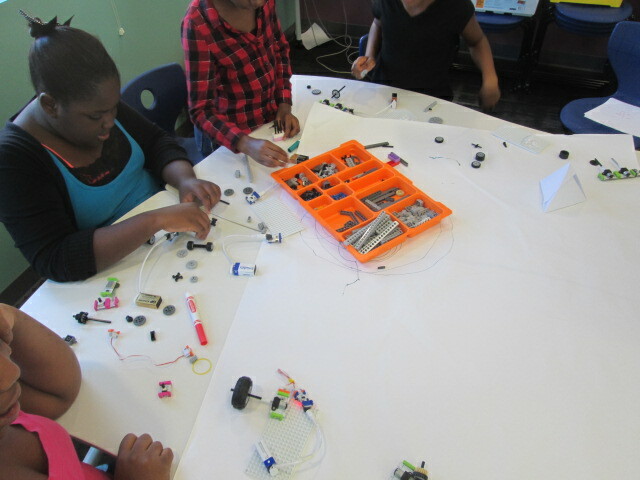 However, I also participate in the makerspace and learn alongside the students. This is a great time for me to see how students are using the tools in a smaller setting. I can think about management pieces to make the process more accessible to students. I can also reflect on how various tools or activities fit into grade level curriculum. In today’s makerspace, students created stop motion animation using clay figures. For some of them, it was the second time using stop motion animation, so they had a better understanding of how it worked. They were able to get to a point that they could actually upload a short video that they created in a 30-minute window. Some of them even worked together to use pieces that they had each created in order to make a collaborative video. It was a busy time and the UGA students worked so hard to get students creating figures and encouraging them to give the video a try. I love hearing how the elementary students and college students talk to one another. They both amaze one another with some of the things they come up with and share. As usual, voices emerged with artistic talents or technology expertise. One of our students, Anarian, who we learned is an expert at making figures with pipe cleaners is also very talented at making figures out of clay. There’s so much potential for his work to develop into a stop motion video for any of his content areas. While the UGA students supported the stop motion, I pulled out our Finch robots, which are on loan to us this year from Birdbrain Technologies. 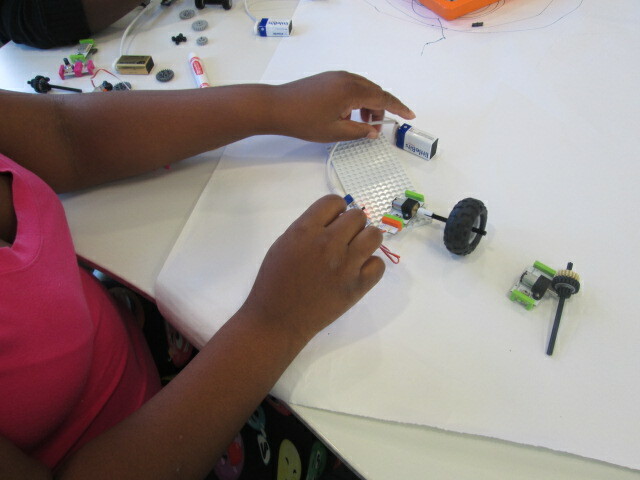 We opened the basic version of Snap, and student tinkered with programming these robots with simple block coding. We are going to do a lot with these robots this year and open makerspace is a great time for me and the students to learn a few of the basics so that our content work can be more productive. By the end of the first semester, we hope that many students have gotten a small taste of all of the tools in our makerspace, so that the second half of the year can be spent focusing on how these tools can work together to create something great. We have no idea where the makerspace will take us, but we know that miraculous things will happen along the way. This entry was posted in collaboration, makerspace and tagged birdbrain technologies, claymation, college collaboration, Finch loan, finch robots, Gretchen Thomas, makered, makerspace, project spark, robotics, stop motion, tinkering, UGA.